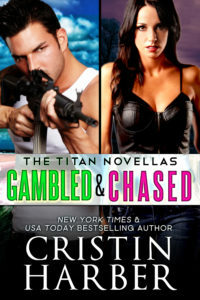 Gambled and Chased are Free for a Limited Time! *throws confetti* You can now get both Gambled and Chased in one download on Amazon–and for a limited time, it’s available for you to download for FREE Tuesday, January 29, 2019, 11:59 PM PST. I explain the hows and whys of this freebie in the most recent Team Titan round-up video if you’re interested in the behind the scenes details. Download Gambled and Chased while it’s available for FREE!